In order to provide you with the full range of Hawkwell Herbs information and services, we are sometimes required to collect information about you. 2. What information will Hawkwell Herbs collect about me? When you sign up to participate in or receive a service from any part of the hawkwellherbs.co.uk website, such as newsletters, competitions, live chats, message boards or register with an online registration system used across different parts of hawkwellherbs.co.uk, we may ask for personal information about you. This can consist of information such as your name, email address, postal address, telephone or mobile number or date of birth. Different webpages may ask for different personal information. By entering your details in the fields requested, you enable Hawkwell Herbs and its service providers to provide you with the services you select. 3. How will Hawkwell Herbs use the information they collect about me? to analyse and improve the services offered on hawkwellherbs.co.uk. e.g. to provide you with the most user-friendly navigation experience. Where Hawkwell Herbs proposes using your personal information for any other uses we will ensure that we notify you first. You will also be given the opportunity to withhold or withdraw your consent for your use other than as listed above. 4. When will Hawkwell Herbs contact me? Hawkwell Herbs won't contact you for marketing purposes, or promote new services to you unless you specifically agree to be contacted for these purposes. 6. Will Hawkwell Herbs share my personal information with anyone else? We will keep your information confidential except where disclosure is required or permitted by law (for example to government bodies and law enforcement agencies) or as described in paragraph 7 below. Generally, we will only use your information within Hawkwell Herbs. However, sometimes Hawkwell Herbs uses third parties to process your information. Hawkwell Herbs will require these third parties to comply strictly with its instructions and Hawkwell Herbs will require that they do not use your personal information for their own business purposes. If you post or send offensive, inappropriate or objectionable content anywhere on or to hawkwellherbs.co.uk, or otherwise engage in any disruptive behaviour on hawkwellherbs.co.uk, Hawkwell Herbs may use your personal information to stop such behaviour. Where Hawkwell Herbs reasonably believes that you are or may be in breach of any of the laws of the United Kingdom (e.g. because content you have posted may be defamatory), Hawkwell Herbs may use your personal information to inform relevant third parties such as your employer, school e-mail/Internet provider or law enforcement agencies about the content and your behaviour. If you are aged 16 or under, please get your parent/guardian's permission beforehand whenever you provide personal information to Hawkwell Herbs's website. Users without this consent are not allowed to provide us with personal information. 9. How long will Hawkwell Herbs keep my personal information? We will hold your personal information on our systems for as long as is necessary for the relevant service, or as long as is set out in any relevant contract you hold with Hawkwell Herbs or Hawkwell Herbs's corporate retention schedule (this is a database that defines which documents should be kept and for how long). In the case that you wish to cancel your registration as a hawkwellherbs.co.uk user, once an account is deleted a red flag goes on the database and, while people cannot use the personal information, it stays on the system for a period of one year for administration purposes before being deleted automatically. 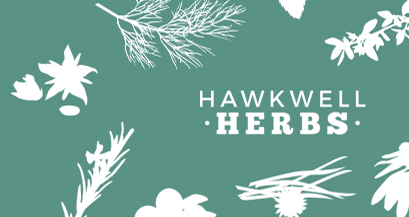 Where you contribute to hawkwellherbs.co.uk Hawkwell Herbs will generally only keep your content for as long as is reasonably required for the purpose(s) for which it was submitted. 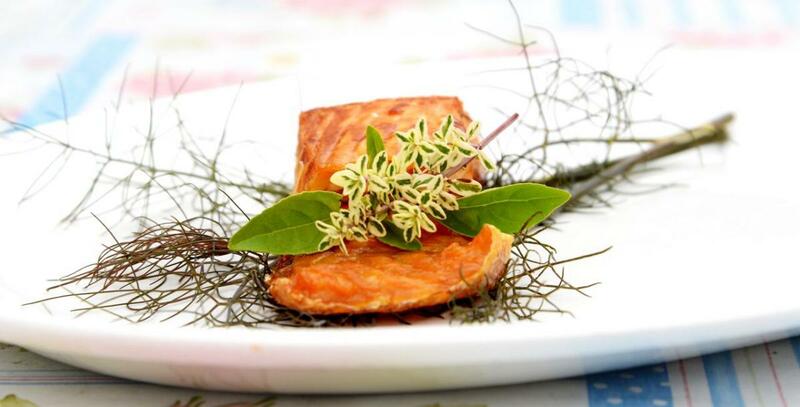 For example, Hawkwell Herbs will only keep copies of entries to a photographic competition for the duration of the competition. However other projects are likely to have a longer, or even permanent, duration. Hawkwell Herbs also has an obligation to record snapshots of history which may include some User Generated Content i.e. content provided by users. Therefore, some content submitted to or shared with Hawkwell Herbs may be retained for prolonged periods of time or potentially indefinitely in Hawkwell Herbs's Archive, which is true of News contributions which are published. There may also be rare instances where we will share your contribution with third parties in the interests of maintaining historical archives. Where possible, we will endeavour to inform you upfront or let you know at a later date where we are likely to keep content indefinitely or pass it onto an approved historical archive. 10. Can I find out what personal information Hawkwell Herbs holds about me? Under the Data Protection Act you have the right to request a copy of the personal information Hawkwell Herbs holds about you and to have any inaccuracies corrected. (We charge £10 for information requests and will require you to prove your identity with 2 pieces of approved photographic identification.) We will use reasonable efforts to supply, correct or delete personal information about you on our files. 11. What if I am accessing the Hawkwell Herbs websites outside the UK? You should note that Hawkwell Herbs does place a number of cookies on www.hawkwellherbs.co.uk and may collect information about international users from these - please see paragraph 13 for more information about cookies. Cookies record information about your online preferences and allow us to tailor the websites to your interests. Users have the opportunity to set their devices to accept all cookies, to notify them when a cookie is issued, or not to receive cookies at any time. The last of these means that certain personalised services cannot then be provided to that user and accordingly you may not be able to take full advantage of all of the hawkwellherbs.co.uk features. Each browser is different, so check the "Help" menu of your browser to learn how to change your cookie preferences.